3-wheeled scooters make turns in far less space than a 4-wheeled scooter. Anti-tip wheels make 3 wheel scooter a safe and stable option in most scenarios. 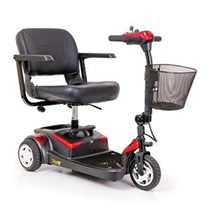 A 4-wheeled scooter tends to be more stable and "surefooted" due to its wider wheel base. 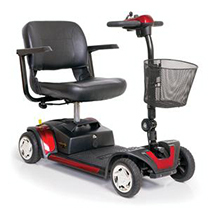 There is also more room for your feet, and they are more stable on inclines.